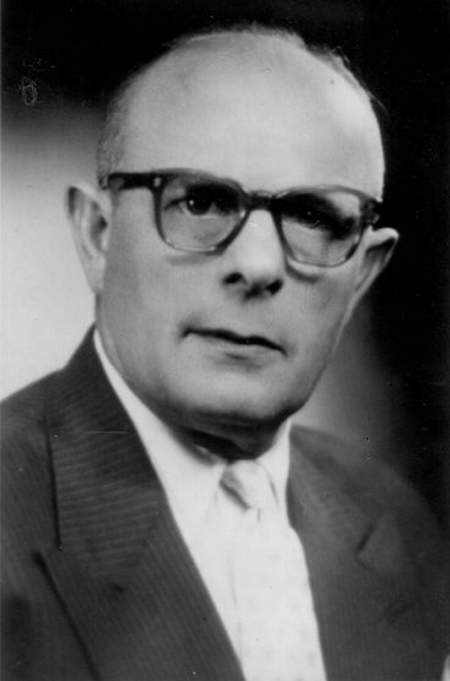 Salomon Kats was born at Emmen in 1896 as one of eight children of Meijer Kats and Eva van Geuns. In 1922 he married there Paulina Khan, born in Meppel. She was a daughter of Hartog Joseph Khan and Sophia Ernsthal, who first lived at Ruinen and then moved to 40 Emmastraat in Meppel. Hartog Khan was from Ruinen, his wife came from Erstenfeld near Würzburg in Germany. 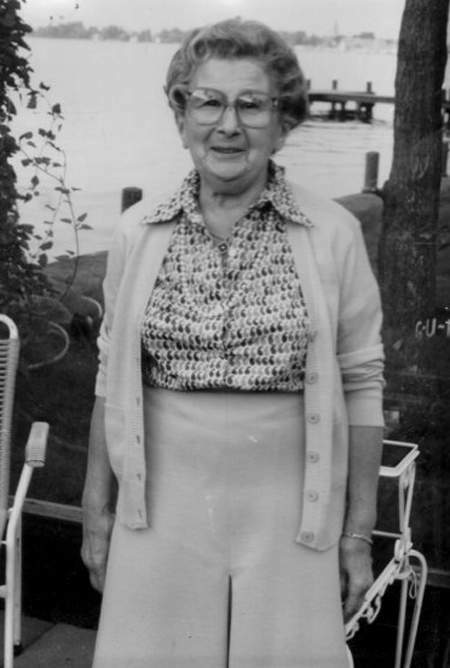 Mr. and Mrs. Kats had one daughter: Evalina Sophie, who was born in Meppel on 7 January 1924. Like many other Jews, Salomon had a clothes shop. At first the Kats family lived behind the shop, in a beautiful house attached to the shop (almost completely covered in green). Business flourished, so they modernized the shop in the thirties. It had an entrance porch with large shop windows on both sides. Mr. Kats understood very well that people first wanted to have a look before buying clothes. Kats’s fashion store in 2nd Hoofdstraat. 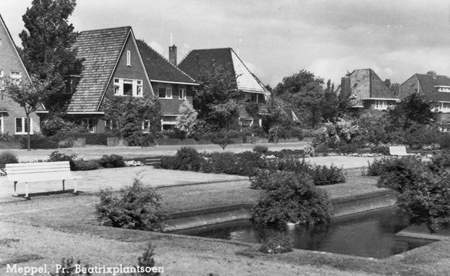 When the family went looking for another house, their eyes fell on a plot in the former Stadslanden, where a new housing estate was going to be built. In Prinses Beatrixplantsoen a beautiful house was built by building contractor Mr. Haandrikman, costing about fl 5000,-. The family came to live here in 1939. When Hartog Khan died on 17 December 1938, his widow came to live here with her daughter and son-in-law. From the start of the war, Evalina was not very keen on the Germans. Her mother tried to gloss it over a bit but could not convince her daughter. Things got worse when German air force men were posted on the roof of the primary school opposite their house, from where they could see right through their house. This became a problem when they were no longer allowed to receive non-Jewish visitors during the course of the war. They only had non-Jewish friends. If they wanted to come and see them, they had to sneak in through the backdoor in order not to be seen by the German soldiers of the air-raid defense. Mr. Kats, living at 17 Beatrixtplantsoen in Meppel, called to say that last night at about 2.30 two plate-glass windows, one of which was curved were smashed with three half white bricks, which he found in his living room. He and his family heard it happen but did not see anything. He only reported the destruction at 8 o’clock in the morning, because he did not dare to go downstairs before that time. At the command of the assistant police inspector, the undersigned has asked Mr. van de Berg, to search the premises with his police dog, which he did. The search did not yield any results. Daugter Evalina knows for sure that the suspect was our Feldwebel! As a consequence of the search the smashing of the window panes was considered a political action, so that Meppel local authorities had to pay the damage. Three children with Evalina Kats in the foreground. Problems at school also made Evalina pessimistic about the end of the war. During the war she was in form 4A at Meppel grammar school and in July 1941 she passed to form 5, the final form. As of the beginning of that new school year she was no longer allowed to attend this school. This meant a short holiday, for only on 11 September Meppel council wrote a letter to the mayor of Zwolle, asking permission for Evalina and some other Jewish children to attend the new Jewish school for further education in Zwolle. Fortunately, Zwolle sent a quick reply so that these children could go to school in Zwolle by mid-September. She went there by train for a year. At the end of the school year 1941-1942 she got her certificate. In the meantime, Salomon Kats’ business had been liquidated and his property confiscated. Fortunately Mr. Kats had ignored some of the rules, from which they benefited later on during their period of hiding. Advertisement of textile trader Hartog Khan, husband of Sophia Khan-Ernsthal, who was killed during the war. 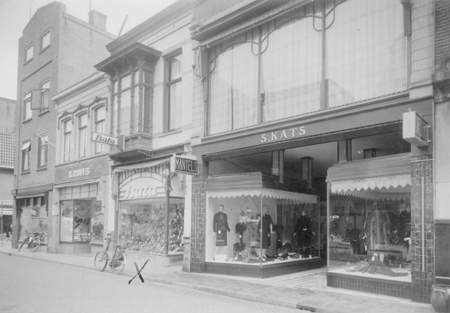 Mr. Kats had a better-quality ladies’ fashion shop in the 2nd Hoofdstraat, called ‘Het Confectiehuis’. It was a well-patronized store. Before the war he had three employees, which was a respectable number in those days. Hetske Maria (Hedwig) Veldman from Workum in Friesland and Jo Bouwman were the shop assistants. Jantje was in the workshop, doing the mending and the fitting of the clothes. Hedwig worked for the family for twenty five years. Even during the war, when the family had already disappeared from Meppel, they still kept contact. She partly supported the family by regularly sending them money. The shop was closed by the end of 1941 and the stock was taken away after an assessment had been made. The formal procedure took more time, as usual. On 21 May the shop was officially liquidated. Salomon Kats had to make the awful trip to the Chamber of Commerce to report this himself. On 15 July 1943 Omnia was charged with the liquidation. Mr. W.D. Seuter was appointed to settle this affair. On 27 October the shop was liquidated. In the mean time the Germans used it as an office. On 20 July Mr. Kats had departed to work camp Orvelte. With the help of Mr. Krijger, a policeman who lived opposite the Kats family in Beatrixplantsoen, they sent a request to the commander of the camp, to give Mr. Kats a weekend off to celebrate his 20th wedding anniversary. They complied with this request. He never returned to the camp, but went into hiding together with wife and daughter. When danger threatened, parents and daughter went separate ways! Mr. and Mrs. Kats went to Breda, straight after Salomon’s leave from camp. They were helped by Mr. de Jong G.P., who knew a bigwig at the Philips Company, whose chauffeur came to fetch them. In Breda they came to live with the Vermeulen family. They kept contact with Hedwig Veldman in Meppel, and from her they heard that their mother had been carried off. However, Jan Vermeulen was betrayed and arrested by the Germans. The Kats family had to find another place to hide. They went by train to Lemmer, where a business relation lived. This was quite an enterprise in those days. It was only possible, because they had false identity papers, so that nobody recognized them as Jews. They were stranded at Heerenveen, for the person who had to come and collect them, did not turn up. They had to walk to Lemmer. They were very lucky that their business relation was prepared to put them up. When the son of the family fell ill  he was a barber’s assistant and his main task was to lather the clients before shaving  Salomon took over his task. Every day he went to the barber’s shop to lather the clients, mainly Germans. This was only possible, because he did not have a Jewish appearance. It must have been pretty scary! They remained in Meppel until the liberation of the country. Daughter Evalina went with a false passport by train to Eindhoven. Through a neighbor of her grandparents in Emmastraat, Mr. Op ‘t Holt, a vicar, she had been given an address there. His daughter lived there. She was married to Mr. Eringa, a clergyman’s son. She had to pretend to be a niece from Indonesia, whose parents were interned over there. Guests were told not to mention the war, as this was a very painful subject. One can hardly believe it, but Evalina had a very pleasant time there, considering the circumstances. She could move around freely thanks to her false papers and her new name Joop Bloemsma. She went to parties and meetings and went to the Dutch Reformed church. She could also keep contact with her parents in Breda; they even visited each other every now and then. Only once she was stopped and one time the Germans came to search the house, not for people in hiding but for radios. The last period was the most difficult. She could no longer contact her parents then. It was especially difficult when Eindhoven had been liberated in September 1944, whereas Lemmer was still in occupied territory. Evalina left Eindhoven and went to work in a gift shop of the British army. Later on she became an interpreter for the Royal Army Service Corps and stayed six months in Hannover. Then she was invited by some high-ranking British officers to go to Meppel with them. There she saw her parents again, who had just left Lemmer for Meppel. Mrs. Khan-Ernsthal decided not to accompany her children. She was 78 and thought she was too old for all this, but she did move to a place on Zuideinde, though, to live there together with some elderly ladies. The idea was that elderly ladies would not be picked up to be taken to a work camp. The Meppel policemen, who came to fetch her from her house in the night of 2 to 3 October, did not find her there and reported: ‘Disappeared without a trace’. In the end she was carried away to Westerbork and transported from there on 26 October. Three days later, her life came to an end in Auschwitz. Picture of Mrs. Kats-Kahn, the daughter of Mrs. Khan- Ernsthal, taken after WWII. 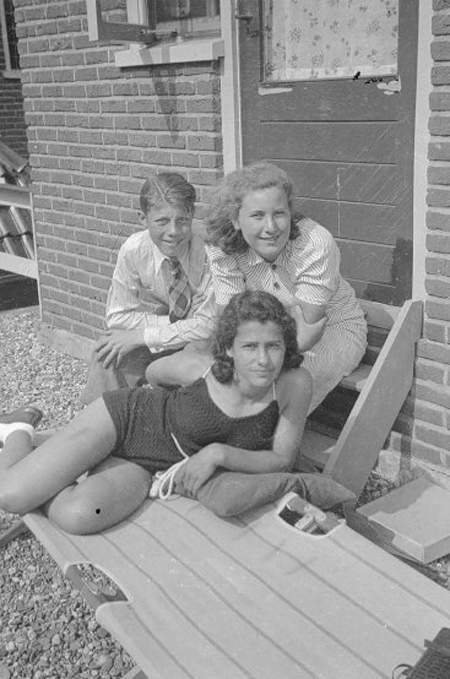 After the war Evalina, Salomon and Paulina came back to Meppel. Evalina found a job with the publishing company of Boom. Her task was to sell the books printed there. After about a year and a half she left Meppel. She married Isaac Woudstra and went to live in Amsterdam, on Henriëtte Bosmanstraat. After Salomon’s death, Paulina moved to Amsterdam, where her daughter lived.